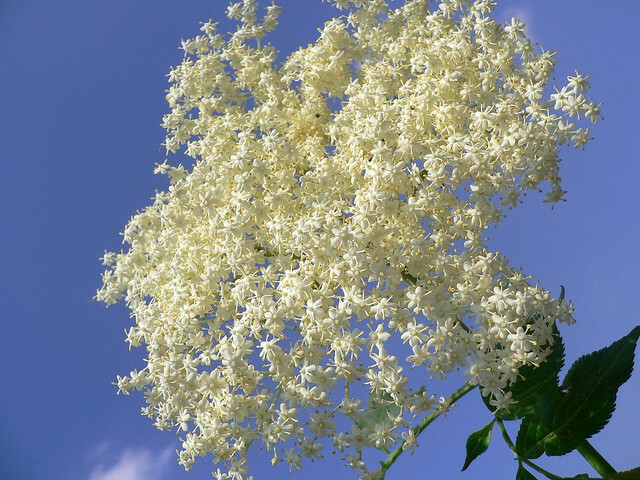 Elderberry flowers are often valued more than the fruit! 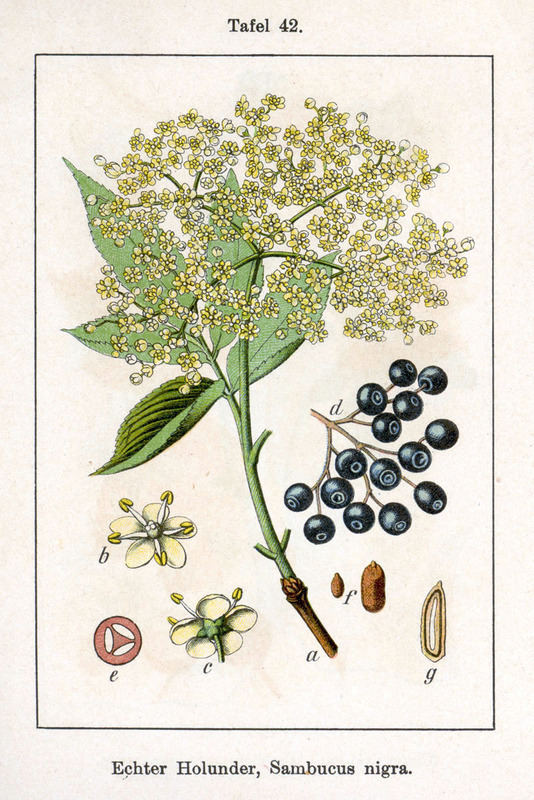 The Elderberry is a large shrub that is best known for its showy flowers (often made into fritters) and small but abundant, edible, dark blue-purple berries. However, it is also a fantastic attractor of beneficial insects and hummingbirds, can be used as a windbreak or living fence, provides food and shelter for wildlife (especially birds), and is a great pioneer species. 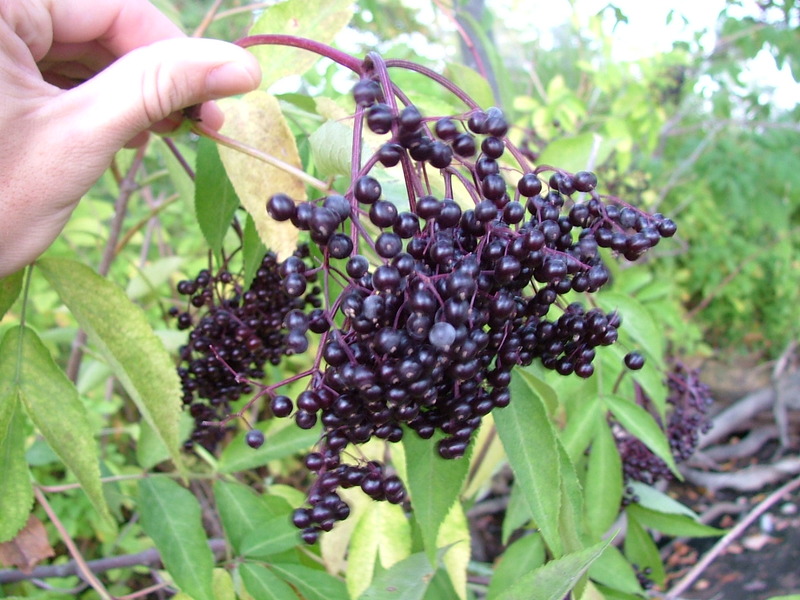 The American Elderberry is native to eastern North America from Canada south through to Panama in Central America. 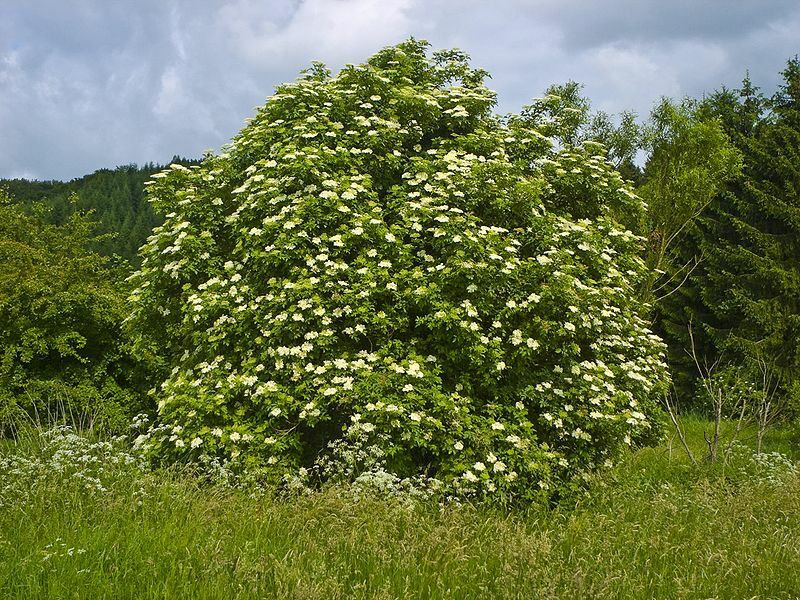 The European Elder is common in cooler areas of the European continent. 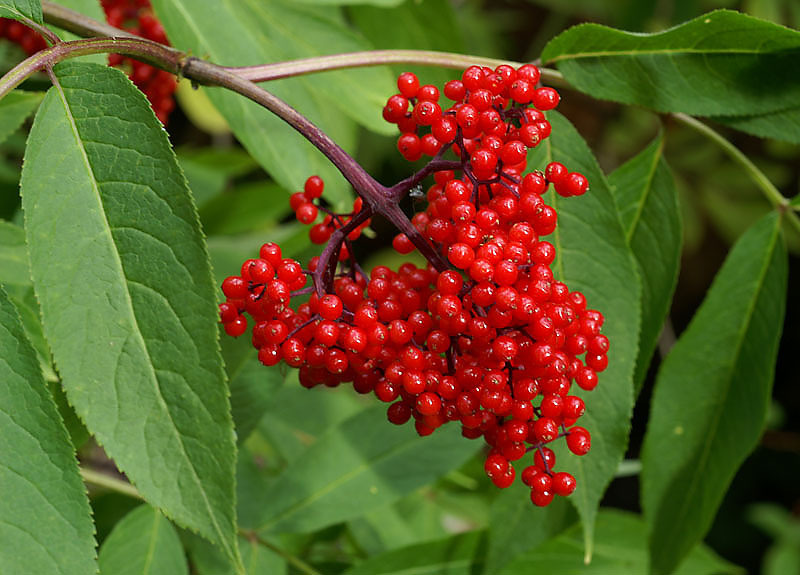 It was used by native peoples in all places for food, drink, and medicine. Many cultivars have been developed but mainly for ornamental purposes and not flower or fruit production. 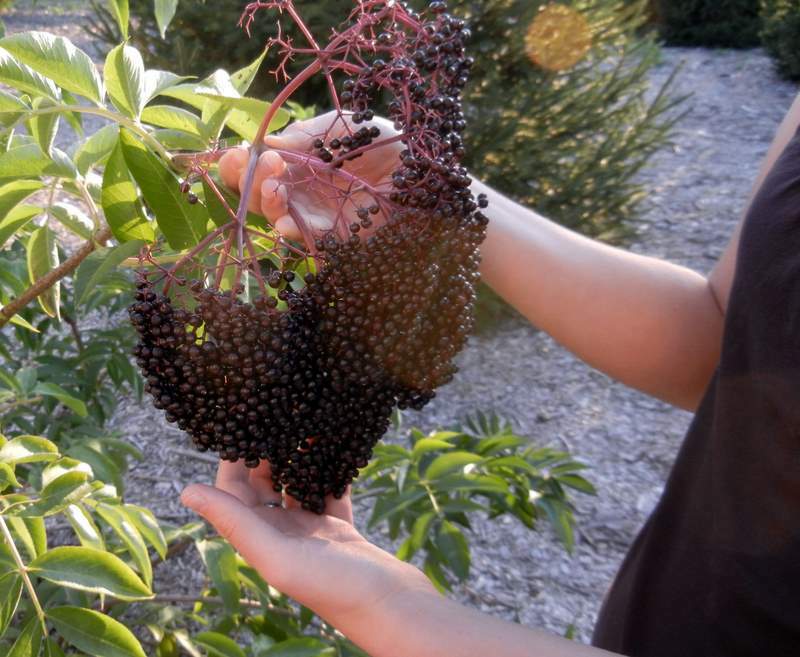 Edible fruit – cooked (most common), fresh (some don’t like the taste), dried, or used in preserves/jams/jellies, etc. Edible Flowers – fresh or cooked. 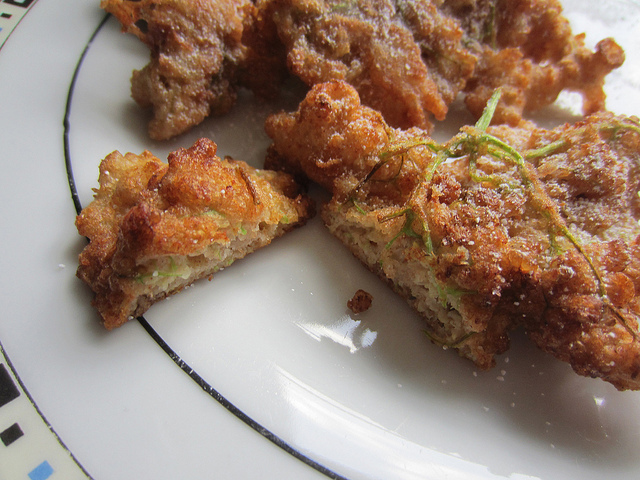 Popular when covered in batter and fried into fritters. Can be pickled if picked when unopened. Fresh flowers can be soaked in water to make a refreshing drink. Medicinal Uses. There are many reported, but its use as an antiviral has a lot of scientific support in the medical literature. Harvesting: Flowers – pick on sunny days when shedding pollen. Fruit – harvest in Late Summer (August-September) when in full color. Many people will either use a berry picker/comb or snip off whole heads and pick off at home. The leaves and flower buds of the Elder. Propagation: Usually from seed (germination highest with cold stratification, up to 39 weeks). Can be propagated from cuttings of half-ripe wood in Summer or mature wood in Autumn. 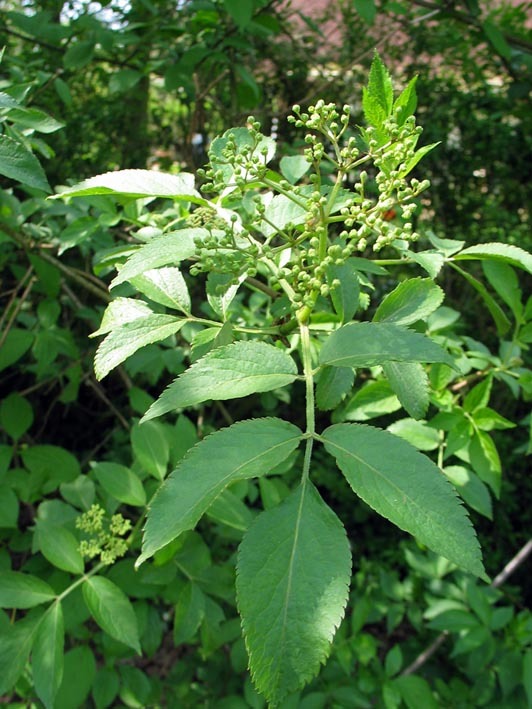 Can divide suckers in late Autumn and Winter when the plant is dormant, but don’t take too late in Winter as Elderberry leafs early. Minimal, but will need to cut back suckers if not wanted. Poisonous – Leaves, stems, roots, and immature fruit contain a precursor to cyanide (large amounts need to be eaten for this to be toxic). Whole sprays/heads, full of fruit, are often easier to harvest all at once.